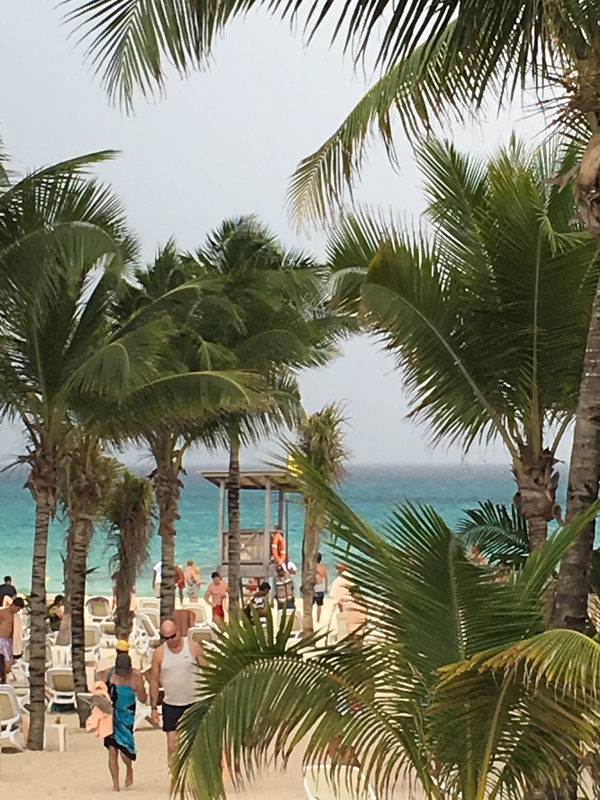 The first weekend after New Years I hopped on that “fantastic” Frontier airlines and flew to Playa del Carmen to meet up with two of my best friends. A birthday getaway. I was excited. It was my first foray into Mexico. With all of the traveling I’ve done I have not ventured to Central or South America. I’m determined to change that this year and this was the first step. My first impressions was that the Riviera Maya was very much reminiscent of Puerto Rico. Having lived there for a year I began to miss it while traveling to the resort. We stayed at the Riu Playacar, an all-inclusive inside the area of Playa del Carmen. Granted my first trip into Mexico I didn’t “rough it” but then again sometimes you have to ease into travels. I was also not traveling alone. The resort was set up in a rectangle with all roads leading to the beach and the pool deck. As soon as I arrived we went to breakfast at the main dining hall. After traveling overnight I was glad for the sustenance. All-inclusives are a great option if you don’t want to think about your meals and are amenable to standard options. For example lunch usually consisted of a salad bar, taco bar, hot plates and hot dogs, burgers, and fries. The nice option of this all-inclusive was a swim up bar and beach service. If you’re look to lounge on a sun lounger and not move except to venture to the water then you’ll be in heaven. Porters came around periodically to see if you needed anything to drink while you soaked in the rays. On day two we ventured off property to Xcaret, a natural preserve/theme park, which tends to be popular in Mexico. There were several in the Riviera Maya. Xcaret is priced similarly to Disney or Universal with general admission starting at $99 US. We ended up adding on lunch and transportation which took the price to $150 US but was well worth it. Xcaret has three cenotes, underground rivers, for you to swim aided by a life vest and flippers, which is an additional price if you get the base admission but included in our package. Each cenote takes about 45 minutes to traverse. The park also has animal enclosures of those found within the region, everything from raccoons to jaguars. You can easily stay the whole day there snorkeling and swimming. It was a fantastic break from the beach. On a side note it is a theme park and there are tons of add ons you can do for additional costs and there are gift shops galore. We also ventured out to the town of Playa del Carmen that evening. While we were there the BPM music festival was going on and they overtook most of the clubs in the area, apart from Coco Bongo, which is an experience all it’s own. Overall the downtown area was very quaint full of many shops and restaurants. If you decide to eat downtown I cannot express enough how you should not drink anything with ice in it. You’ll regret it later, believe me. The rest of the short trip was spent on the beach and it was very enjoyable. 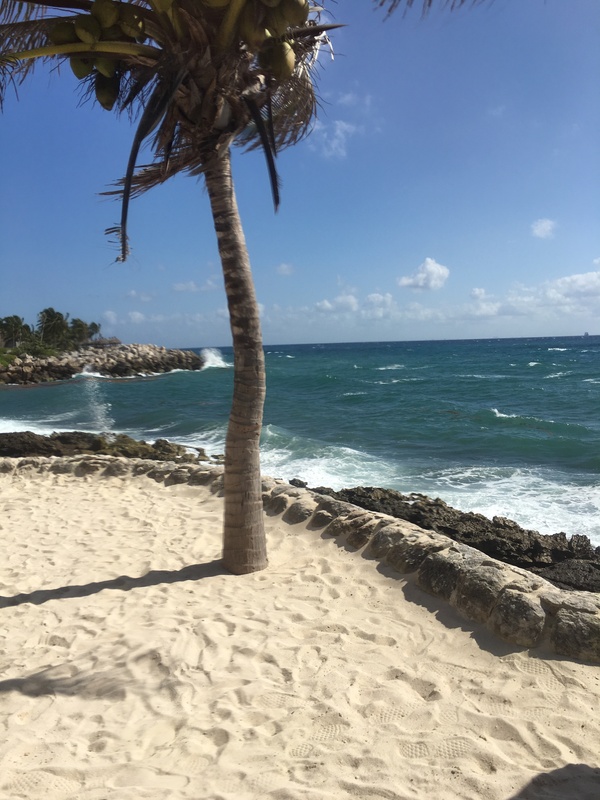 If you’re looking for a quick getaway and you’re tired of Florida or the Caribbean I would highly recommend a trip to the Riviera Maya. Please post any questions you may have about my trip. As always travel as you desired. Until next week.